The Practice specialises in designing harmonious spaces for residential extensions and conversions including listed buildings and new build. 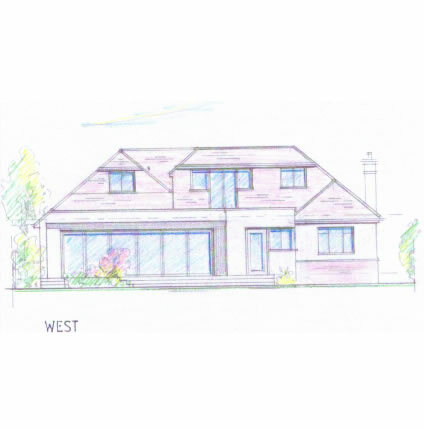 The practice aims to provide a cost efficient personal architectural service to suit the particular requirements of each client; the service may be advisory, partial or full. We have implemented a Quality Assurance system in our office procedures and consequently we aim to gain a better understanding of client requirements/problems. The practice aims to provide the best quality design but still to provide good value for money. We believe that a creative design appropriate to its context, will not only enhance the quality of life of the owner, but also enhance the value of the property. Dimensional surveys and existing drawings. Professional advice and feasibility studies on development potential. Schemes for conversion, refurbishment and extension of all types of existing buildings including French holiday homes. Restoration and conversion of listed buildings. Design proposals for new Residential and Commercial developments. 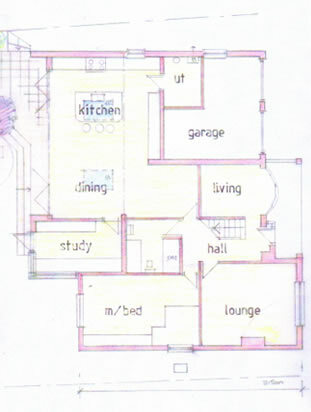 Design of new individual one off houses. Advice and guidance for self builders. Space planning for the more efficient use of existing space. Education, Sports/Leisure, light industrial and Residential care facilities. Site inspections, valuations and certificates. Planned maintenance and maintenance advice.